takes care of the right amount of steam with his percussion instruments and sits on the telling arguments when he provides the right rhythm from his little play corner. 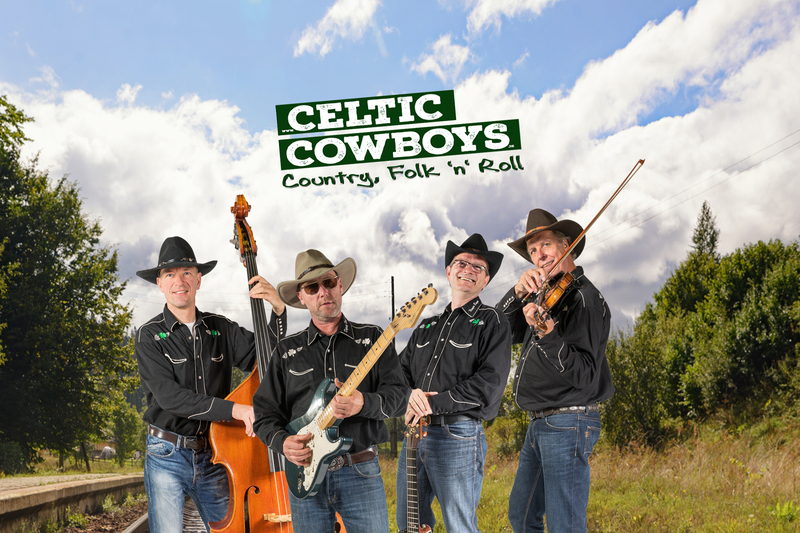 His great fascination for traditional Irish music shows when playing cajun, snare and accordeon, but he seems secretly prepared to put up his tipi in the wide world together with the boys. 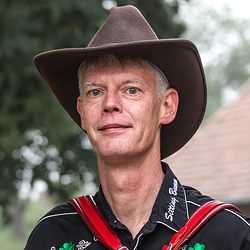 Musically, Sitting Bumm fought his way through several years of classical piano lessons before he self-taught double bass and accordeon, initially to arrange and compose Scandinavian folklore before joining GARIFIN in 2000, and then co-founding Celtic Cowboys which enabled him to follow his true passion. Geographically, the roundabout paths led Sitting Bumm to sessions in Germany and Ireland all the way to Japan. 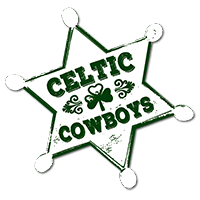 No matter where the steel horse will take him in future, the Celtic Cowboys will surely be along.